Official rules bounty Campaign project BTCsearch. We are pleased to announce the launch of the bounty Campaign BTCsearch. BTCsearch Pre-ICO starts September 10. The time of the ICO is scheduled for November 10. Before you begin, we invite You to participate in our bounty campaign and to help the project BTCsearch in creating a base of active users. We already have users who use Bitcoin and know what cryptoamnesia. 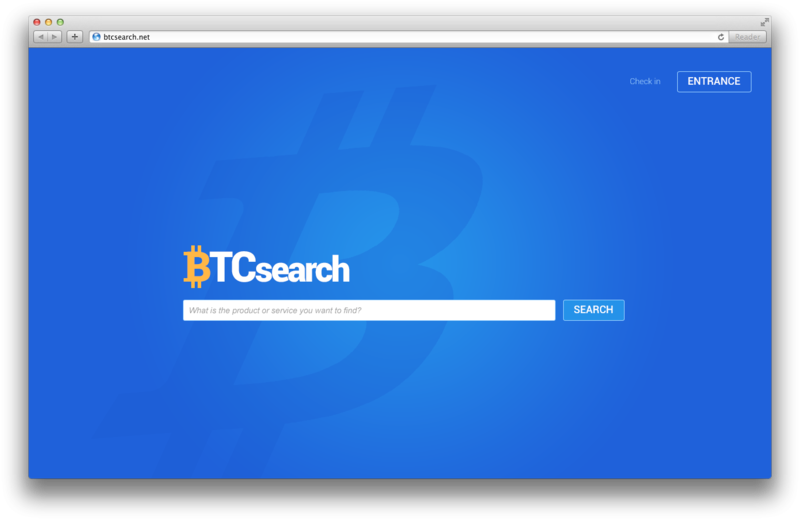 BTCsearch is a search engine. For each entered query or viewing ads Satoshi are accrued. Just made 1.000.000 tokens on the platform waves. 10% will be the first nick bounty. 90% of the profits will be directed for payment of dividends. 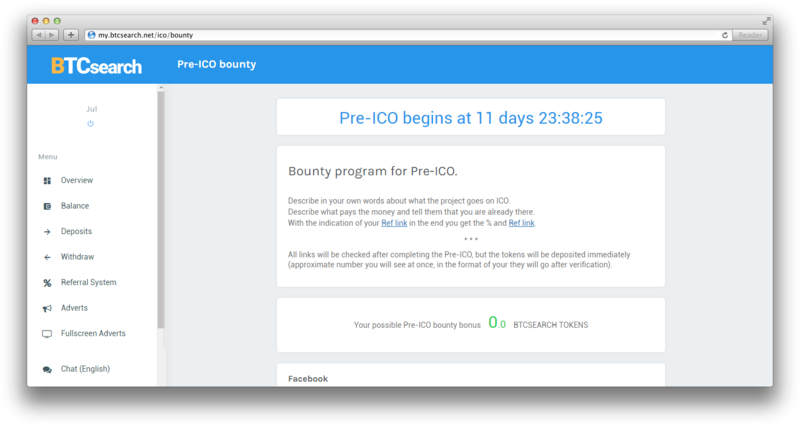 On the bounty program is designed 10%. Our bounty program works on this principle. For the registration of the user we give 1тoкeн. 3-level referral program which gives 25, 10, 5. Inside the website we did a section of the ICO in which we pay for every subscription of from 1 to 5 tokens. Btcsearch my favorite site, me and my referals like it. I made an account, waiting some rewards. This Ico will grow fast. Are you planning bounty programm? You could get free tokens by simply done the registration and share! By the way, if you need Chinese translation, please tell me. you need to lock this thread and move it to the correct section. this is for the ANN and not for bounty's. if your having issues doing this you can contact the moderator! There are no trust to this project. Mostly, people not received their earnings. There are too much complaints at other sites. almost ev1 are here for some. Comic project - on my request are very badly the google results after my IP produced (but need not) and full with advertising in right block))) who needs what? 1. In the massive cheat site left from payment of 40%. All payoffs are made. 2. All the balance given x2 tokens. You can sell them when you open the exchange. Before the end of the Pre-Ico remained 9 days. At the moment, given/sold 39199 tokens. After conducting a Pre-ico all decisions on the project will be carried out in the General election. BTCSearch is a search engine which has entered query or view ads.